There are a lot of things I don't know. I don't know the rules of football. I don't know how to play the violin. I don't know how to do a cartwheel. But even with the many, many things I don't know, there is one thing that I know for certain! I know it without a doubt, and I know it is always right. More than anything in this world, I know that there is a God, and that He loves me! Many things in my life testify to me on a daily basis that God is looking out for me. A few weeks ago, I was in a spiritual rut. I wasn't reading my scriptures that much, and I was saying my personal prayers even less. I didn't feel like I was getting anything from scripture study and prayer, so I didn't even try to read and pray. It was an endless cycle that I was caught in. Then Sunday rolled around, and I was starting to feel a little guilty because I didn't care about my personal scripture study and prayer. At church, I worried about how I didn't care. I worried that because I didn't seem to care, maybe I would fall away from the gospel. I really, really didn't want that to happen. So instead, I made a decision. It wasn't specific or huge, I simply decided that I would change. It began slowly, and even now I am still trying to do better, but the main thing I realized I needed to work on in order to turn things around was putting in a conscious effort to read my scriptures. From that day, many little things that the Lord has done to bless my life have stood out to me like rescue flares. One thing really stood out to me that Thursday, after a few friends and I had done some family history work and found names to take to the temple. We were at the temple Thursday night to be baptized by proxy for those family names, but there were so many people that there was a three-hour wait. The baptistry closed at eight o'clock, but we were there until ten o'clock before we even got to do the baptisms and confirmations. I feel especially blessed not only to have been able to do that, but also that the many things left in my day to do didn't come to mind until after we left the temple. In my personal opinion, there are few things worse than a stressful visit to the temple. It wasn't until I got home and was talking to my mom that I realized all the things that should have gotten done that day, but hadn't. Though the built-up stress was not a positive thing, I still know that God was blessing me because I didn't feel that stress until I had finished the ordinances and was reflecting on my day. The next day, that stress was still there. For all my thinking and justifying, I knew that the stress was the result of some procrastination I had done earlier in the week. I found myself pleading with the Lord that work would be canceled that day. I didn't know what else I could do, and there was no way I could get everything I needed to done if I still had to go to work. I prayed and prayed, and by lunchtime I got a text at school. It was my employer, telling me that work was going slow that day and that I could choose whether or not I was going to go in to work. I immediately texted back, saying that I would take the day off and thanked my Heavenly Father for answering my prayer. This last week was the end of my first school term. It was hectic, trying to keep all my grades up and making sure I got everything turned in on time. I was happy to know that I was getting the grades I wanted. But as I examined each grade to see the individual assignment grades, I noticed that a fair amount of extra credit had been given to me for an assignment I didn't do. It was in my hardest class, and I looked at the exact percentage I had sadly, knowing that the next day it would probably go down if I told my teacher about the error. In a second of hesitation, I tried to justify keeping the extra credit points. Maybe they were for another assignment and had just gotten entered in under the wrong one. But I knew that it wasn't honest to keep the points, and so the next day I told my teacher. She took the points away after confirming my fears that it would likely take my grade down below where I wanted it to be. However, after taking away the extra points, my grade was still just barely above in the right range. I know that even though I risked sacrificing my perfect grade to be honest, I was blessed for that honesty. 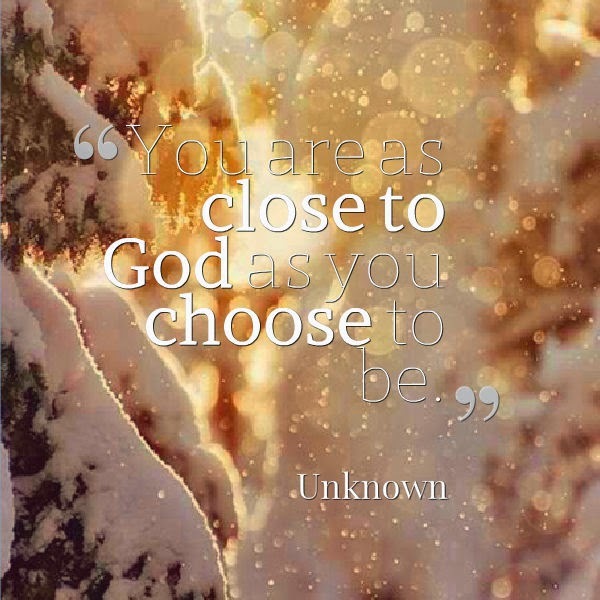 I KNOW that God does not sit idly, watching my life take place. He is there for me, and loves me, and wants me to succeed. I am overwhelmed with His love. Without Him, I would be lost in this crazy life. So many things don't go as planned. There are so many questions without answers. 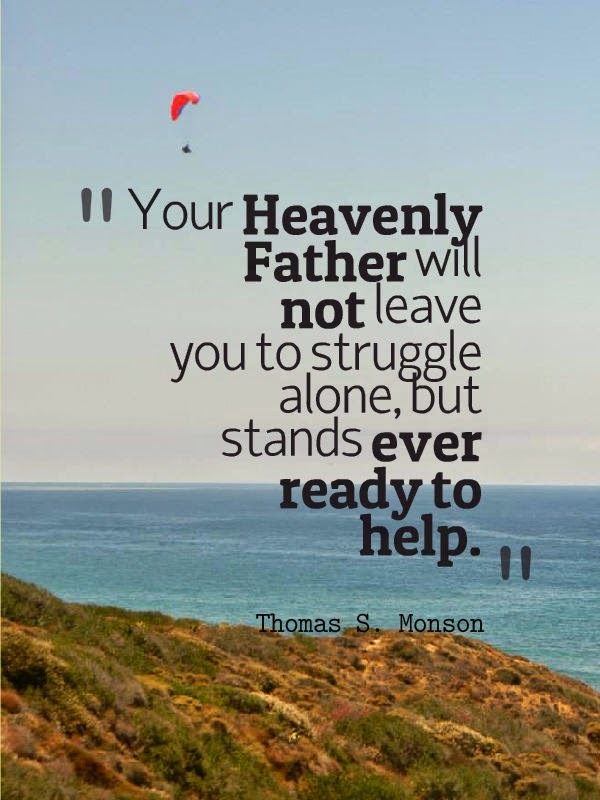 But through everything, Heavenly Father is always there, and He will help us if we let Him.